Ceilings are in. They are no longer the most neglected and least noticed part of the house. 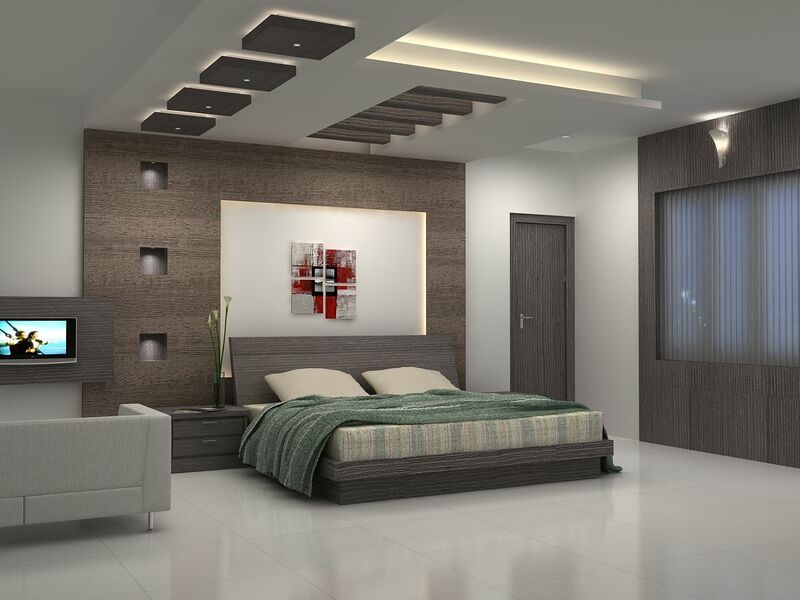 To have the perfect luxury home, to have a space that is considered stylish and elegant, you must have a ceiling that is harmony with and contributes aesthetically to the rest of your place. There is no shortage of ceiling design ideas. There has been an entire industry dedicated to the subject for some time. The difference now is that ordinary people have access to this knowledge and the creative tools that are required to remake a ceiling into a work of art. Here are a few of the most popular design ideas. Painting your ceiling is the most straightforward way of making it stand out. But rather than painting to preserve or to neutralize; you should paint to perfect whatever color design you have installed in the rest of the room. Forgo the usual white or brown and go for something more interesting or exciting or exotic. Indeed, there is nothing which says you cannot decide on the color you think best suits the ceiling and paint the rest of the room to match it. Teal, amaranth purple, and magenta are some of the richer colors. You should also think about choosing a color that will complement the furniture in the room. If you have moved into an older home and wish to keep a traditional feel in the place, then you should opt for a corrugated metal ceiling. It is not always necessary to completely revamp old homes toward a more modern look. You can get just as much beauty out of a dated space. All that is needed is an upgrade and reinforcement of the materials. Using wall paper may have helped you do wonders with the various vertical surfaces in your home. There is no need to stop with the walls. Extend the installation to the ceiling. Ceiling paper can in many cases add a dash of liveliness, color, and brightness to the room. It is important to remember that much of your lighting will hang from the ceiling. When it is turned on, the colors of the ceiling paper will radiate throughout the room. A dark, solid, rich oaken wood ceiling can make the space that it is in truly remarkable. It will feel as though live in a countryside cottage. Further advantages lie in the fact that it can be a source of improved insulation and can also absorb noise from the outside. You may want to be playful in some of the rooms of your house. It isn’t necessary to have the same ceiling in every room. If you want to install a more creative and experiment type of ceiling in the rooms of your children or even in your room, then you should go for it. The main point is to be comfortable with what you have decided on and to get materials that are durable and of the highest quality. If you are looking for great and creative ceiling design ideas, then you need look no further. Get the ideas you need here.